It’s not often that a new aircraft catches the public’s attention in the same manner that the “’Double Decker’ Airbus A380 did when it took its first commercial flight back in 2007. The plane was the new king of the skies and was set to dethrone the classic Boeing 747, the original ‘” jumbo’” jet of the skies. In February 2019, Airbus announced they were ceasing production of the A380; a decision that came as no surprise to many within the industry. Starting from the end and working backwards, by the time the last A380 rolls off the assembly line in 2021, some 251 will have entered service out of a hoped for 700 – 1200. Out of the total in service, around 50% of these are operated by mega Gulf carrier; Emirates, the rest of the total is shared between 12 other airlines. So what went wrong for Airbus? Back in the 1990’s, it was clear that the demand for air travel was growing exponentially and that to satisfy the demand, a new strategy would need to be deployed; this was perceived as needing more planes and that airports would have to grow bigger. This was the logical way of thought. One way to keep abreast of this growth – so the thinking became – was to make bigger planes to alleviate the pressure on landing slots at key airport hubs i.e. more passengers on larger planes with potentially fewer flights; or so the theory went. Whilst this type of rationale prevailed during the 90’s as being the view forward, by the time of that first commercial flight in 2007, the clock was already ticking down towards a seismic shift in aviation operations. Traditional theory of how airlines operate assumes a hub and spoke theory where passengers in secondary locations connect through hub airports in prime locations from their point of origin to their point of destination. An example of this might be passengers in the USA who live in St Louis, Kentucky or Kansas all fly to NYC on smaller type planes (B737/Airbus 320 etc.) 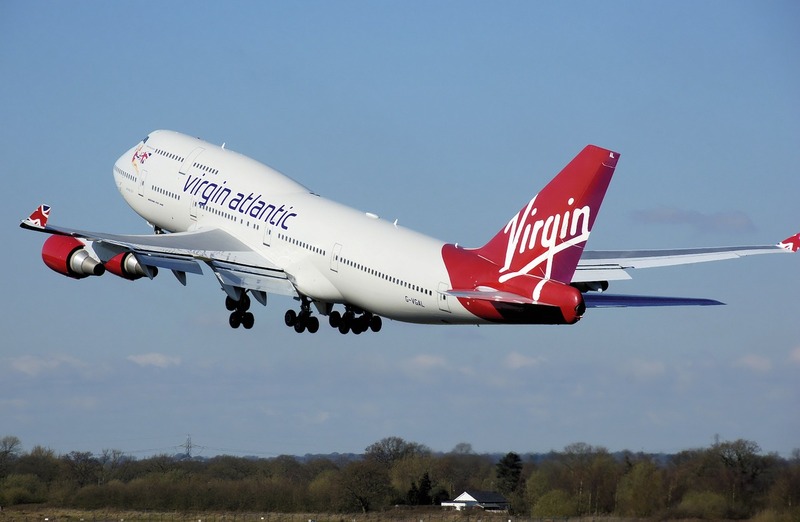 to connect onwards via larger planes (B 747/A 380) to London where they then swap to smaller planes once again for their onward travel from London to their destination of Manchester, Edinburgh or Belfast or any city that is connected to London. Airports like NYC and London were already busy airports and the focus was very much on how to get more passengers in and out of these places when faced with the obvious constraints of their landing slots being almost full. The aforementioned thinking sounded logical but logic is often overruled in the real world. Just as the A380 was launched, new technology was finding its way into the manufacture of aircraft structures and new aircraft engines. This new technology in simple terms made planes dramatically more fuel efficient with one of the resulting impacts being that a twin-engine plane could now achieve flight performance and hence distances previously unheard of and which were previously the domain of the larger four-engine aircraft. Not only that, these planes did not have to be mega size. Indeed, the cost of buying and operating the new breed of smaller planes such as the Boeing 777/787 and Airbus’s own 321, 330 and 350 series planes made them more profitable than the A380 whose economic basis was based on traditional economies of scale where more passengers meant more profit. There was also one other factor that needs to be mentioned and that was the safety certification (ETOPS) that now allowed the new breed of twin-engine planes to fly distances previously not allowed. The ETOPS rating now factoring in improved technology initially allowed planes to be up to 180 minutes from any airfield (for emergency purposes) with this figure then rising to 330 minutes. In short, most planes could now fly any international route far away from emergency landing strips safe in the knowledge that the technology flying these planes would facilitate numerous hours in the air even if one engine was out of working order. Flights in and around the Pacific were the obvious beneficiary of this relaxation. Back to our ‘hub and spoke theory’”. This theory of airline operation was well established and set in stone. However, a fact is that secondary cities across the globe were and are still growing at twice the speed of the so called mega cities. Not all commerce and industry is based in these mega cities, especially in the more developed parts of the world where also the financial ability and the need to fly is arguably the greatest amongst the population. Thus, from our ‘”hub and spoke’’ example, the use of smaller more efficient planes allowed these ‘”Spoke’” legs to be by-passed. The catchment area of Manchester could not perhaps support a daily 500 seater plane going to New York, but it could support a 250 seat plane that therefore provided the option for passengers to bypass travelling via London. Alternatively, it might be that demand could support 250 passengers bypassing NYC and flying direct from Kansas to London! An extension of that might also see that actually, two secondary cities like Manchester and St; Louis (example only) could indeed also support flights of 250 passengers; thus reducing the number of flights people are required to take from four to two. This is the gist of indeed how the aviation industry morphed over the past decade. Also, it is often better for airlines to operate 2 x 250 seater planes than 1 x 500 seater! The costs with new machines might roughly be the same but from the passenger perspective, having more choice of flights is always seen as a better option. It’s also invariably better for the airlines as the smaller planes are easier to roster which provides flexibility in scheduling and fluidity to cater for surges in demand for a particular route. 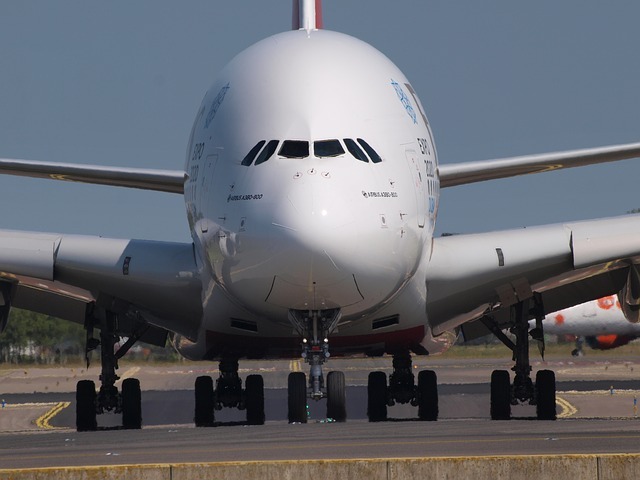 In the short term, there will still be a benefit of sorts for the A380 to operate between certain points and indeed, the hub and spoke business model of Emirates lends itself to aircraft of size when it comes to connecting the hubs! Even for Emirates though, if you take their flights from Dubai to the UK, they do not only fly hub to hub to London – invariably with A380’s, but also other airports like Manchester, Birmingham and Glasgow. The same in Germany, Emirates don’t just fly from Dubai to the two German hubs of Frankfurt and Munich but also to Hamburg and Dusseldorf using smaller yet profitable aircraft. The net result is that, using the German example, Emirates still carry the passengers from Germany but a) they probably gain new passengers because they don’t need to change any plane in Frankfurt or Munich and b) they can operate more flights with the same/greater profitability. Finally in this epilogue, another reason for the demise of the A380: they have virtually no resale value! When we buy a car we always factor into the running costs what price the car will be worth when we come to sell it. For those with now ageing A380’s the planes are virtually worthless. There is simply no demand for them. only 1 A380 has found a second-hand owner. The typical life span of the A380 would be around 20 years but after 10 years, the initial owner would probably be looking to sell on the machine and replace with new. This would also be a similar cycle for many other types of plane. Seeing that the plane is effectively worthless, the actual km cost of operating the machine then increases as the plane is not so much depreciated as wrote off as a potential asset, therefore, increasing the cost of tickets for people flying on it to cover the extra cost of operation. A vicious downward spiral. There is absolutely no doubt that flying with an A380 is a wonderful experience and seldom a bad word is said about them by passengers. Sofia was graced two years ago by a Lufthansa A380 which itself drew large crowds to witness this unique event; such is the aura around the plane. No doubt there will be other failures in the aviation world just as there are successes; look at the Boeing 747 which launched in 1970 and which not only is still carrying passengers but is still being built for freighter work today, or the Boeing 737 aircraft, the mainstay of many an airlines short haul set up. Many a plane spotter and many a passenger will come to miss the A380, let’s hope many more people do get the chance to fly on them before the eventually disappear forever. The issue – surprise surprise – stems from the French Customs Officers taking industrial action which has created monster queues at Paris Gare Du Nord Station. The fact of the matter is that for normal people, Europe can’t work as long as there are idiots like the French Trade unions around. Is the solution to invoice Trade Unions when they create financial losses to its fare-paying public? For people in certain countries like Italy and France where the” work to rule” attitude of people seems to prevail, normal people simply think the same people should try and work occasionally. Travel warnings should be re-calibrated to warn the rest of Europe when particularly the French Trade Unions are actually working! EasyJet has decided to pull the plug on the idea to be part of a consortium that was negotiating to take over persistent loss-making airline Alitalia. The airline had been working together with Delta Air Lines and Italian railway operator Ferrovie in the bid. To many an outsider, EasyJet are probably the smart guys on the block in this scenario with (finally) common sense prevailing before money was lost. 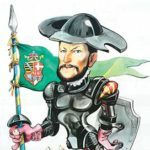 For anyone with short memories, Etihad and their deep pockets couldn’t beat the ‘’Italian” system where the controlling partner remains local and it would seem more than possible that anyone investing in any Italian transport business would have to have exceptionally deep pockets and an eye mask to cover what they might see on a daily basis. The Bulgarian hospitality industry is warning that once again that it faces labour shortages for the forthcoming summer season. Part of the issue is the (logical) preference of local students and seasonal workers to work elsewhere in Europe where salaries are higher. This, of course, they can do thanks to EU labour laws. The solution once again seems to be to hire summer staff from the likes of Ukraine and Moldova who are prepared to work for the average 400 Euro per month salary. Lufthansa is following in the footsteps of Air France once again. 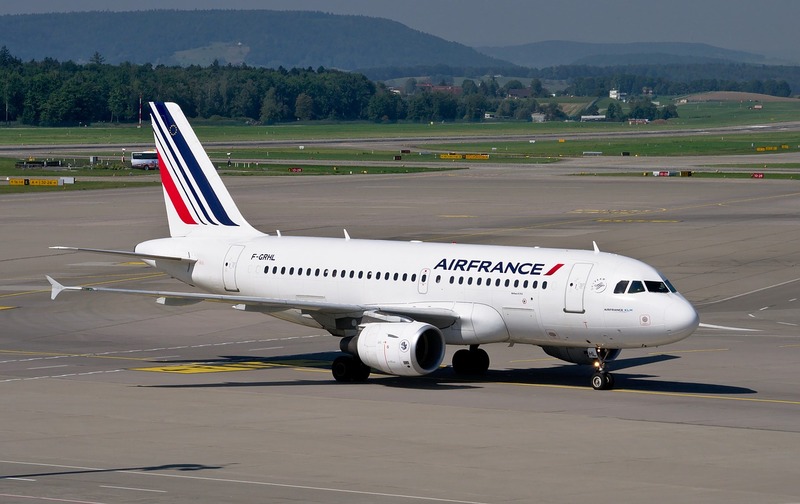 After successfully adopting their French rivals ability to disrupt passengers travel plans with repetitive strike action over the past years, the German airline is now following Air France in reducing its fleet of ill-fated A380 ‘’superjumbo’” aircraft. Lufthansa will reduce its fleet of A380’s from 14 to 8 between 2022 -23 and instead focus its Long Haul operations on the twin-engine Boeing 777 and 787 planes as well as A350 planes from Airbus. What is also interesting with Lufthansa is their slow but sure move of numerous Long Haul operations from Frankfurt to Munich. This has seen several A380 planes move base already and 2 more will move in 2020. Lufthansa passengers will no doubt be sad to see the demise of the A380 as they have always proved popular with most travellers. Lufthansa’s fleet also has the benefit of being refurbished, an operational expense Air France decided against, thus rendering them dated in modern day terms. The hotel industry seems to grow and grow with new brands appearing almost monthly and new openings promised weekly. However, on the global playing field the hotel ‘” new builds’ seem to be dominated by the big four hotel groups: IHG (Intercontinental), Hilton, Marriott and Accor. Together they supposedly account for around half of planned hotel builds. Marriott has a pipeline of 2544 projects, followed by Hilton with 2252 builds and IHG with 1716. Accor are some way behind with 966. In respects of individual brands, of which each group has numerous hotel brands to its bow, IHG’s Holiday Inn Express is the most popular with 731 planned openings. If you do like hotel stats, then globally, in 2018, 13,753 new hotels were built which is a 7% increase year on year with the US accounting for 5,500 of these followed by China with 2700. As for individual cities, most projects were in New York with 171 followed by Dubai with 168 and Dallas with 163. You needn’t be a rocket scientist to have sussed out that the recent Ethiopian Airlines crash appeared to have similar characteristics to last year’s Lion Air crash in Indonesia. Factor in that both planes were almost new Boeing 737 Max aircraft and even the most naïve of travel commentators could not have failed to draw the conclusion that there is a 99% chance that the cause of the crash was almost certainly the same. Such a conclusion probably took less than 10 seconds for the normal rational person to figure out. Why the worlds media were slow off the mark in suspecting the same is probably down to the threat of litigation if such claims were proved to be unfounded. However, the weight of opinion towards the obvious seems to have been too much, even for the USA aviation industry who initially claimed the plane was “Safe to fly” (probably because of the fear of the damage to the reputation of Boeing) had to backtrack when they became the only nation that allowed the plane to operate on its territory. As we write, there is still no official explanation as to what caused the Ethiopian (and by default the Lion Air plane) to crash. With the latter, there seemed to be a concerted effort by vested interest parties to lay the blame with anyone and anything except the airline manufacturer. Perhaps with this in mind, Ethiopian’s refusal to send the airplanes black box flight recorder for examination to the USA and instead send it to France is a damning pointer in the direction of blame and trust. The fallout from this affair could be huge for Boeing both in the compensation they will surely have to pay to the deceased relatives as well as in the damage to brand reputation. Additionally, the airlines globally who have had to ground their fleets of Boeing 737 Max aircraft will also be sending Boeing an invoice for the lost revenues this has caused for them and is continuing to cause them. Not many people, unless you are of a certain age, will recall the name ‘” Buzz’’ in terms of Low-Cost Airlines. The name was originally the name of KLM’s initial Low-Cost Airline “startup” in 1999 but which never gained sufficient traction and was sold to Ryanair in 2003 for 15.6 million GBP. Now, Ryanair are resurrecting the brand and giving it to its Polish subsidiary which will be rebranded from Ryanair Sun to Buzz. The Polish fleet currently has 17 aircraft which will grow to 25 this forthcoming summer. Most people consider the Gulf-based airlines to be money bags who probably don’t care too much if they make a profit or loss as their oil-rich state owners will take care of things regardless. Whilst this may or may not be true, it’s eye-catching to see that Abu Dhabi based Etihad has reported a loss of 1.3 billion USD for 2018; a year that saw other airlines not only making good profits but huge ones! If you think this Etihad figure is bad, then you will perhaps be surprised that this result was an improvement on 2017 when it lost 1.52 billion USD. Even oil-rich sultans won’t be happy to read such figures. Etihad have (had?) adopted an expansion policy which at best could politely be called ‘” unique’” or on the other hand it could be referred to as ‘” bizarre’”. Their policy has been to take equity investments in airlines such as Air Serbia, Alitalia (now effectively bankrupt and looking for new owners), Indian based Jet Airways (who at the time of writing have almost of their fleet grounded by the Indian Authorities), Air Seychelles, Darwin Airlines (whom it sold in 2017) and Virgin Australia. Reading the aforementioned would suggest their management hasn’t quite been up to scratch and whilst the expansion concept had merit; it was never going to work. For many years there has only ever been one long term plan for Etihad, a merger with Emirates as and when the colossal new Dubai World Centre Airport fully opens, which just happens to be situated on the Abu Dhabi side of Dubai! United Airlines has become the first US airline to offer non-gender bookings. The title Mx can now be chosen as opposed to the usual offerings of Mr., Mrs., Miss., Miss or even Dr. Without wishing to appear smutty, who would it be that’s selected and indeed allowed do a body search at customs on Mx? Can’t wait to see the reaction at check-in in some Middle East countries! In last month’s edition we mentioned the space age approach to parking that is planned at Edinburgh Airport in Scotland, it seems they are not alone. 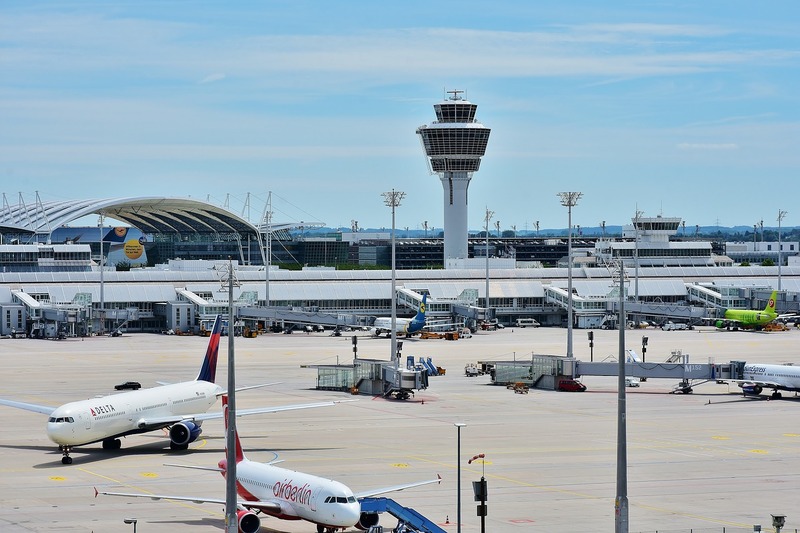 Lyon Airport is already testing a 500 berth valet parking that is fully automated with passengers leaving their cars at one of 12 drop off cabins whilst taking their keys with them to their destination. The claim by Lyon is that a car parks capacity can be increased by 50% using the technology. The other added bonus is one supposes; the French robotics don’t go on strike – yet! It’s the future – isn’t it? It’s well known that techie people have a tendency to live on their own planet when it comes to providing people with the technology they actually want rather than the technology the techies want people to use. Youtube abounds with sketches of technology and humans in absolute conflict be it in a voice-operated lift or trying to open a door with fingerprint recognition. The travel industry also attracts more than its fair share of techies whose claims about how we will travel and indeed book travel when “next week comes’” often lead the more sane of us to think that mushroom quiche on the lunch menu wasn’t as pure as it could have been. The more experienced travellers amongst us remain unconvinced that “bots, blockchain and augmented reality” will actually have any impact whatsoever in the travel world for the next few years at the very least. That’s despite the wonder kids trying to convince us otherwise. On the other hand, AI (Artificial intelligence) might have some role to play in the near future and indeed has the capacity to save people both time and money. These thoughts and comments all came from this year’s Business Travel Show in London where the leading minds, technical ones included, mixed with the techies trying to infiltrate the industry. Probably these are the same techies that told us ten years ago that video conferencing would end the need to travel for business purposes. Their business bankrupt as they didn’t travel to close the deal whilst the person who did travel won the contract.